A couple of years ago I wrote an article called Christmas gifts for math geeks and it has proven to be quite popular so I decided to write a follow up. As I started thinking about what I might include, however, I started to realise that I had produced a list for science geeks instead. So, here it is – my recommendations for gifts for the scientist in your life. Mathematica 8 Home Edition – This is the full version of Mathematica, possibly my favourite piece of mathematical computer software, at the extremely low price of 195 pounds + VAT. I know what you are thinking ‘Over 200 quid is not an extremely low price.’ and I would tend to agree. It is, however, very good value since a commercial license costs several thousand pounds and Mathematica is as good as MATLAB with a whole slew of toolboxes. 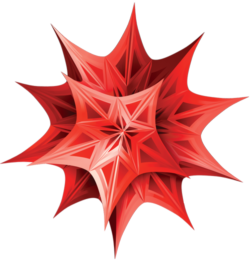 Mathematica is possibly the most feature complete piece of mathematical software available today and is infinitely better than any dedicated graphical calculator. 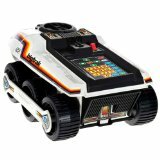 Bigtrak – I don’t have a Bigtrak but I used to have one back in the 1980s. Is the science geek in your life into computers and 30-40 years old? If so then there is a distinct possibility that their first foray into the world of computer programming was with a Bigtrak back when they were 8 or so – I mean, this thing can even do loops! This isn’t identical to the original but it is a very close facsimile and would be great for budding computer nerds or their misty eyed old dad. 200-in-1 electronic project lab. Now this one brings back fond memories for me since it was given to me for my 10th birthday and is probably the reason I studied physics at A-Level since A-Level physics included the study of basic electronics. I did well in A-Level physics and enjoyed it so I chose theoretical physics for my degree later moving on to a PhD so you could argue that this piece of kit changed my life! I was overjoyed when I discovered that it was still being sold and was immensely pleased when I received it as a birthday present once again when I was 28. The first thing you need to know about this wonderful piece of kit is that it requires no soldering; you wire up all of the components using bendy little springs – nothing could be more simple. There is also no need to be able to read schematic diagrams (although this can be a great way to learn how to) since each spring is numbered so producing your own AM radio transmitter can be as simple as joining spring 1 to spring 10 to spring 53 and so on. The practical upshot of all of this is that you can approach this thing at a variety of levels. In the first instance you can just have fun building and playing with the various circuits which include things like a crystal set radio, a Morse code transmitter, a light detector, a sound detector and basic electronic games. Once you’ve got that out of your system you can start to learn the basics of electronics if you wish. I have since discovered 300 in 1 and even 500 in 1 electronic project labs which look great and all but this is the one that will forever be in my heart. 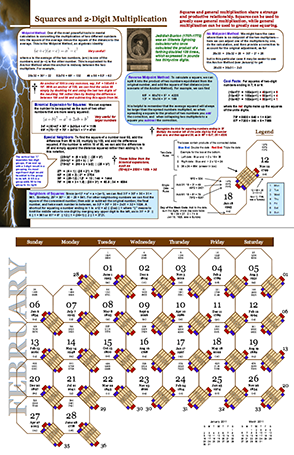 2011 ‘Lightning Calculation’ calendar – Ron Doerfler writes a blog called Dead Reckonings that specialises in the lost arts of the mathematical sciences. Last year he designed a 2010 Graphical Computing calendar and made the designs available for free to allow you to print your own. Centred around ancient computing devices called nomograms, the calendar was beautiful and after Ron very kindly sent me a copy, I encouraged him to make a version that he could sell. Well, I guess he took my advice because Ron is back with a 2011 calendar with the theme of ‘Lightning Calculations’ and this time he is selling it from Lulu.com. Since Ron is an all round nice guy, he also offers a high resolution pdf of the calendar to allow you to print it off yourself but personally I plan on showing my support by putting an order in with Lulu.com. Nice work Ron! What about your geek book list? Another item along the lines of the electronics kit is an Arduino starter pack of sorts. They’re a little more open ended, if you don’t mind the expense of parts & getting your hands dirty with some code. I’ve been tinkering with one lately, and it’s quite fun to rig up different ideas quickly!